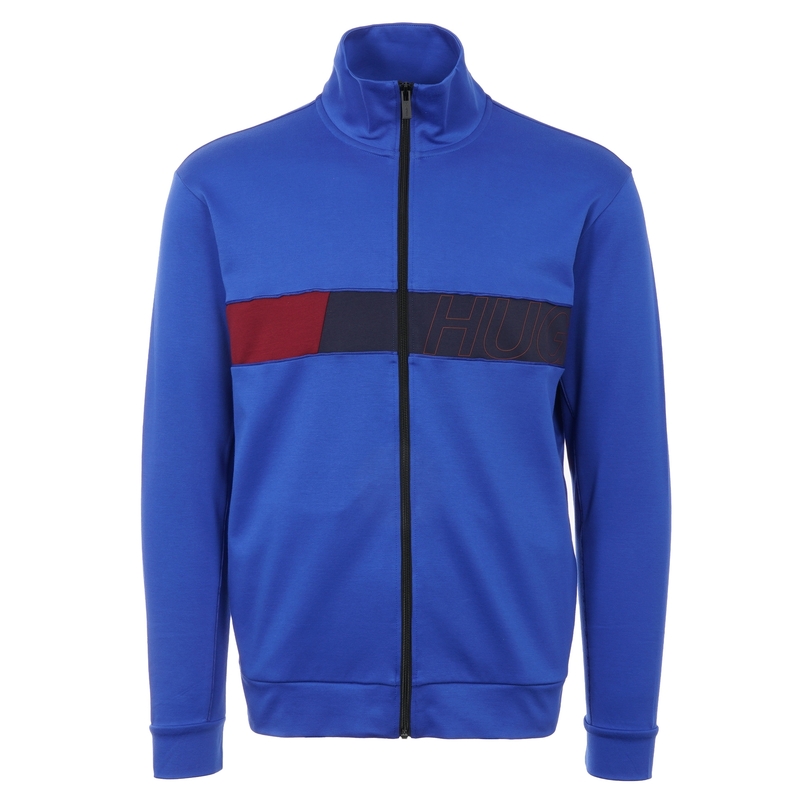 A staple casual wear piece to arrive as part of this season;s HUGO collection the Dalais Track Top boasts plenty of retro connotations in a bold Medium Blue colour with a bold colour block logo panel running across the chest. Constructed to a regular fit from an interlock cotton blend the piece comes detailed with a stand collar whilst the garments piped seams sign off the piece giving it an on-trend athleisure vibe. A great option to have in rotation for casual wear try combining alongside a pair of regular fit jeans from the likes of Emporio Armani for a signature finish over the course of the coming months.